The Best Packing Cubes for travel will help packing for your next vacation a breeze! It doesn't matter if your are flying with carry on, taking a suitcase on honeymoon, or cycling around the world. 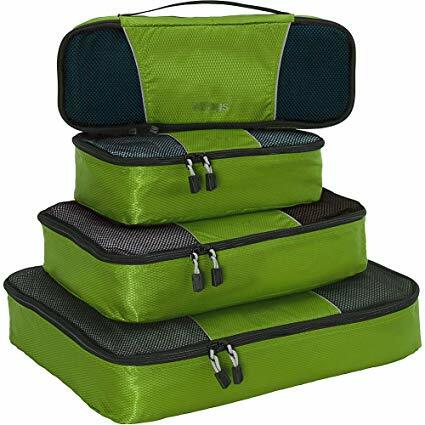 Packing Cubes will make efficient use of the space in your bag, and keep you organized. My top picks for the best packing cubes for travel. 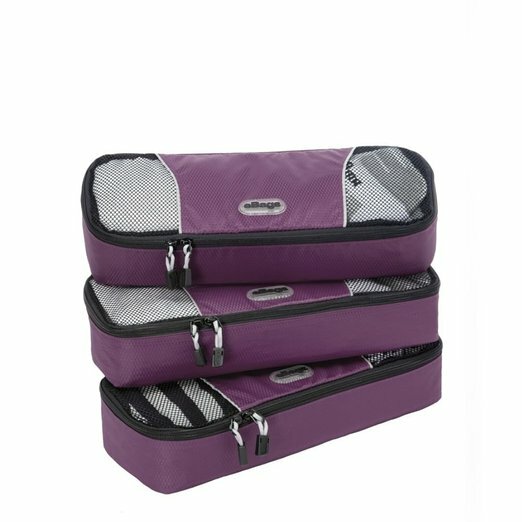 Each one of these packing cubes is designed to last, and will keep your clothes neatly packed and compressed. The best travel accessories you'll ever use! 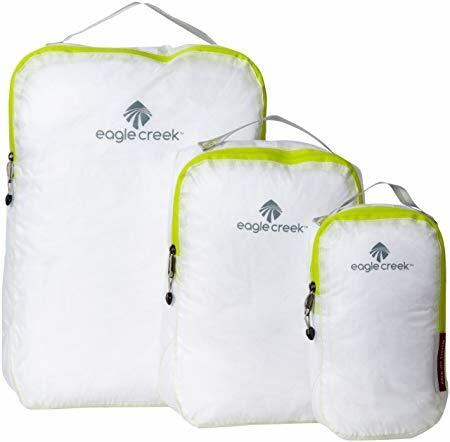 Eagle Creek are a renowned travel accessory brand, with a track record stretching back over 40 years. The Eagle Creek Pack It Specter Cube Set is an ideal travel packing cube set for travel. Hit the 'Continue Reading' button for information and prices at Amazon. 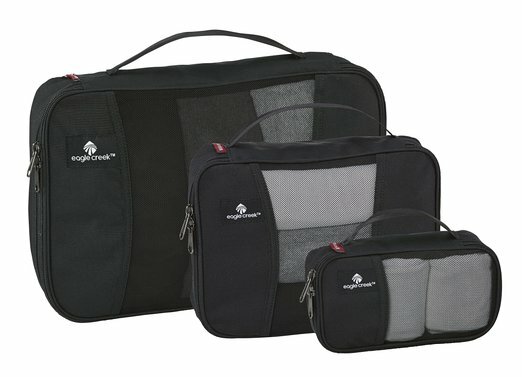 I have a set of these eBags packing cubes for travel myself, and love them. They've survived thousands of miles of bike touring, and been in and out of the washing machine dozens of times. Hit the 'Continue Reading' button for information and prices at Amazon. Amazon have their own selection of packing cubes for travel in their Basics range. As you might expect, these travel cubes are high quality, and built to last. Hit the 'Continue Reading' button for information and prices at Amazon. I like the Well Traveled packing cubes because of their snazzy colours and patterns. 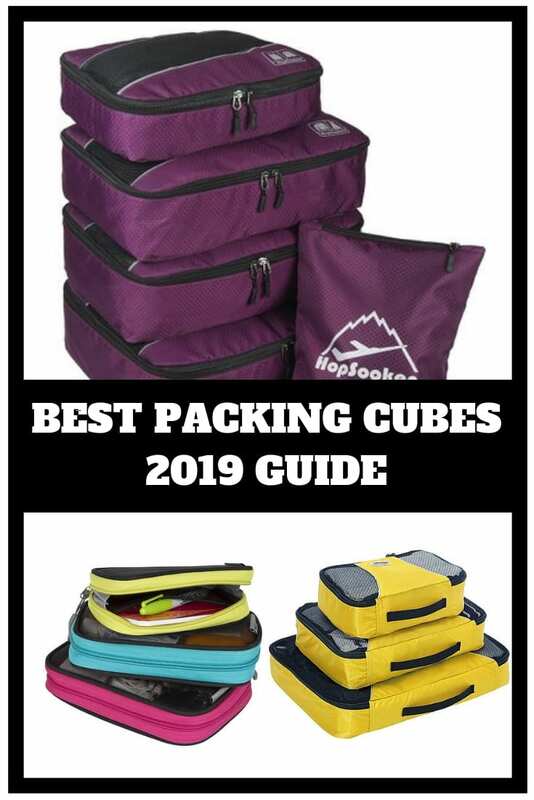 Most other travel packing cubes are a little dull, but these cubes certainly stand out from the crowd! Hit the 'Continue Reading' button for information and prices at Amazon. Packing Cubes do far more than simply separate your T-shirts from your shorts. 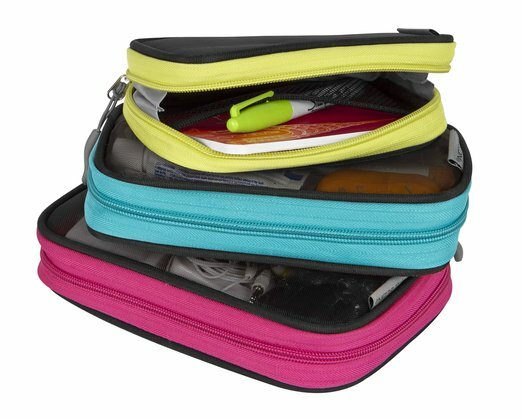 They can help you keep organized as you travel, and make things easily accessible. Packing cubes can also prevent clothes from becoming damaged and keep them neater. If you have mastered the art of ‘rolling clothes', you will also have crease free clothes, no matter where you are in the world! The best packing cubes for travel are essentially made up of a lightweight fabric on five sides, with the sixth side being made of a fabric mesh. This means that when you have packed your travel clothes inside, you can tell what is in each cube. They generally come in different sizes, and so you will need to use your own judgement which will be best for you. Are Packing Cubes for You? I can only go by my own experiences here. I spent years backpacking and cycling around the world, keeping my clothes in plastic carrier bags. Inevitably, this became a disorganized mess, with clean clothes mixing with dirty clothes. After swapping to using packing cubes, I genuinely saw the light, and wondered why I didn't think of it earlier! Are Travel Packing Cubes Expensive? The simple answer is, no they are not! You can buy sets of three for $11.00 or less. At this price, it would seem crazy not to try them! for over 10 years now. It has survived cycling from England to Cape Town, and Alaska to Argentina. And it's still going strong! If you pay a little more, the best packing cubes will also last you for years. , then check out this video below. It's full of great travel packing tips, and shows you just how it is supposed to be done! I have never tried packing cubes, but would love to after reading your article. Thanks for the tip! I LOVE packing cubes! we just got some large ones for our big Pacific Islands trip! I’m testing them out this weekend as we pack for a week long trip in beautiful Victoria, Canada! I’m hoping all 4 of us can fit everything into one suitcase! Oh Dave – I LOVE packing cubes. You’ve identified my one travel necessity. As soon as we bought packing cubes, everything changed for us. Packing is a dream now. So organized and really frustration free. I switched over to using packing cubes and love using them. It’s really great knowing exactly where everything is in your bag. They seem pretty useful! I always get frustrated when I need to repack my duffel half way during the trip because I can’t find anything anymore, so I’ll definitely keep those in mind for next journeys! Definitely try packing cubes the next time you travel then! – it will help you to keep so much better organized! 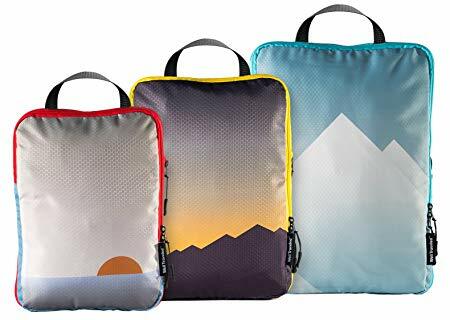 I have so many different types of packing cubes and honestly for some trips I just can’t figure out if they are helpful or not. I tend to roll things and squash things very well in my suitcase after years of packing to/from India and I can’t tell if the cubes help or hinder me there! I do like them as a way to organize my stuff from my sons or husbands. 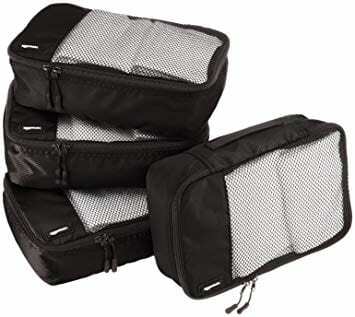 and I LOVE my compression cubes since I can pack more in my carry on suitcase.. but for the regular cubes, I tend to really use them most when I use a backpack rather than a suitcase. How do you pack them? Packing cubes have changed the way we travel! Seriously!! We just got one for this trip and it has been the best thing ever. Don’t know how I managed all those years without it! I know! How something so simple such as packing cubes can make your travel life so much easier is amazing! packing cubes are so useful! They can help you tidy away not only clothes, but also travel tech gear as well!